Tujipambe models will take to the floor with ballroom danc...ing and street dance youngsters Cardiffreakx will rock the house Jazz style. 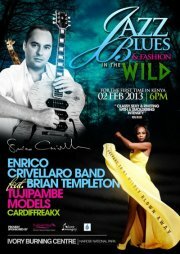 After the fashion show the guests will be entertained by uninterrupted music by the band. The only thing missing from this cast - is YOU.